The American Platinum Eagle series began in 1997 and has been produced sporadically since that time. As an investor/collector, it is difficult to find smaller sizes (less than 1 oz) of Platinum on the marketplace. The 1/10 Oz American Platinum Eagle is likely the most popular fractional Platinum product on the market today and is quite hard to find in any quantity. Contains 1/10 oz of Platinum. Has a purity of .9995 Fine Platinum. Officially backed by the United States government with a face value of $10 USD. Individual coins ship in protective coin flips. Since its inception in 1986, the American Eagle bullion coin program has been wildly successful. Almost immediately after their initial release in 1986, the gold and silver Eagle coins began immensely popular and widely accepted bullion products. Some would argue that they are the most universally trusted bullion items in the marketplace. Given the success of the silver and gold versions, the United States Mint decided to unveil a platinum American Eagle in 1997. Like its gold brethren, the platinum Eagle was issued in four denominations: 1/10 oz, 1/4 oz, 1/2 oz and 1 oz. The coins carried face values of $10, $25, $50 and $100 respectively. This would mark the first time a regular-issued American coin would have a face value of $100—and only the second regular-issue coin with a $50 face value. In addition to regular-issue “business strikes” (i.e. coins produced strictly as bullion products), all four denominations were also issued in proof format. Collectors could buy individual denominations or specially-produced four coin sets. All proofs were released in velvet display boxes with certificates of authenticit. In contrast to the gold and silver Eagles—which enjoyed tremendous success in the late 1990s and early 2000s—the platinum Eagle never saw the same level of demand. Therefore, mintages were often tiny. Whereas silver Eagle mintages were in the millions and gold eagle mintages were in the hundreds of thousands, some platinum eagles had mintages of under 10,000! 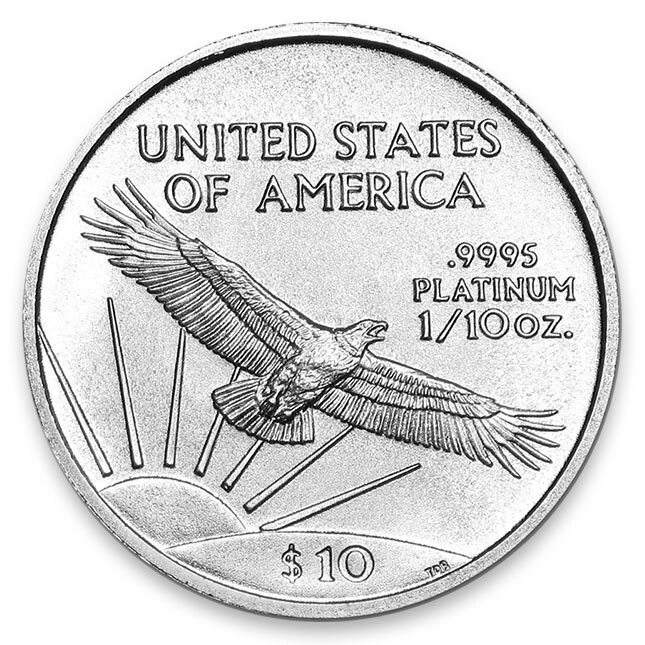 The U.S. Mint eliminated the majority of the platinum Eagle program after 2008, when it discontinued all business strikes but continued to release a small number of one ounce proofs. The Mint attempted to revive the bullion edition platinum eagle again in 2014, but again it was met with only limited demand. 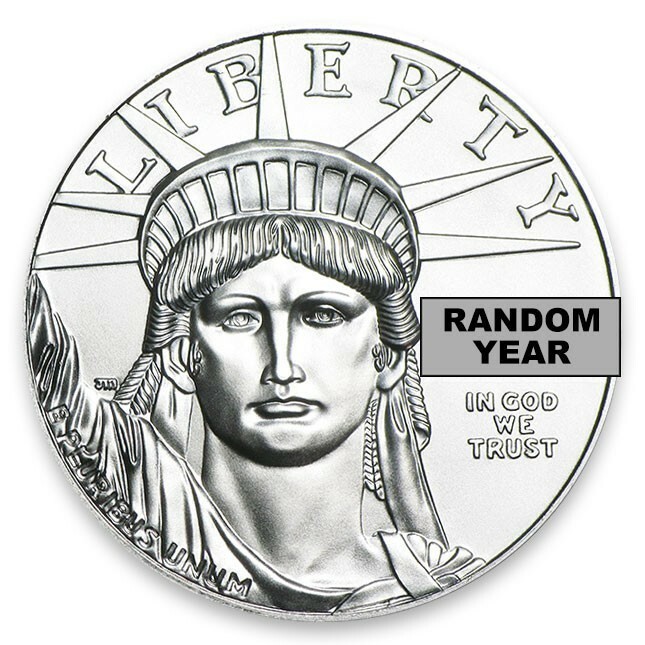 A modest number of 2014 one-ounce pieces were distributed through U.S. Mint authorized bullion purchasers, but the coin was not brought back for 2015. While the platinum Eagle may have been unpopular as a bullion product, it has developed something of a following as a collectible. Drawn to their low mintages, numismatists have begun to assemble sets of uncirculated 1997-2008 platinum Eagles. They boast some of the lowest production levels of any modern American coin, yet they trade for a relatively small premium over melt. The proof issues have also become quite popular. Collectors have also discovered that Uncirculated platinum eagles can actually be quite scarce in MS 69, especially in the 1/2 oz and 1 oz denominations. Due to the nature of the design—and the fact that the coins are both hard and heavy—platinum Eagles are often seen with nicks and abrasions. As a general rule, they are much more likely to be seen with marks than their gold and silver cousins. Best Prices On 1/10 Oz American Platinum Eagles (Dates Our Choice)!